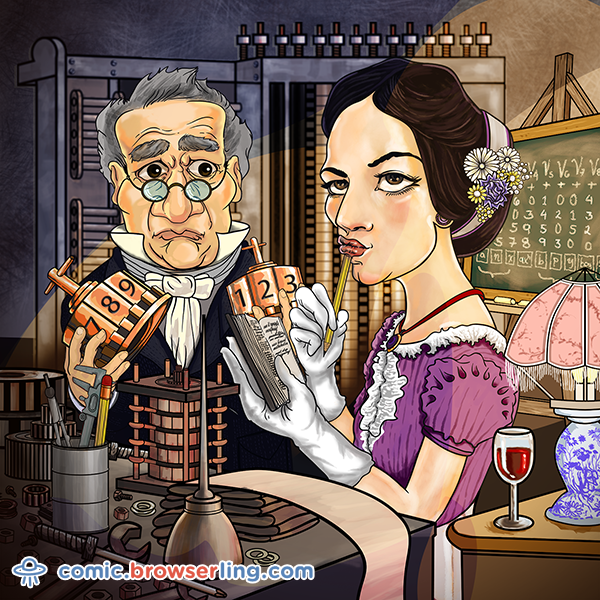 Happy Ada Lovelace day everyone! Here's a fresh new illustration of her. Somehow Charles Babbage got in the scene too. John McCarthy and his creations. If you like these cartoons you can subscribe to my comic and/or subscribe to my blog and/or follow browserling and/or follow me and/or do nothing.